Microsoft wins Xbox8.com domain, but what does it mean? Will the next generation Xbox be called 'Infinity' perhaps? Does the Xbox8.com battle offer clues about the next-gen console? 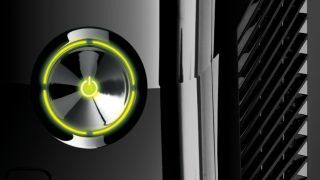 Microsoft has moved to acquire the Xbox8.com domain name, leading to speculation regarding the real identity of the next-gen 'Xbox 720' console. The domains involved included XboxPhone.com, XboxTablet.com, XboxLiveTV.com, XboxCompanion.com, Xbox8.us and Xbox8.org. The first four fit in nicely with the company's current goals to bring Xbox functionality to phones and tablets and Live TV to Xbox consoles, but what does Xbox8 mean - if anything? Might Redmond Christen the Xbox 720, Xbox Infinity? It Sounds pretty feasible and, let's face it, it's way better than the alternative. Or is Xbox 8 simply related to a software update or just a case of Microsoft wanting to snap up all Xbox related domain names? Regardless, this is the best piece of Xbox conjecture since that 56-page presentation leaked online.